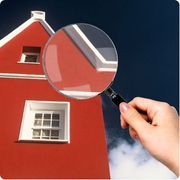 At Cornerstone, I am focused on providing quality home inspection services to Brown County, Minnesota, and the surrounding area with the highest levels of customer satisfaction. I will do what I can to meet your expectations. Look around my website and if you have any comments or questions, please feel free to contact me. I hope to see you again! Phil Siefkes does our inspections. He is a member of InterNACHI (International Association of Certified Home Inspectors). Phil and his family have lived in Sleepy Eye for approximately 30 years. He also serves as the pastor of Calvary Baptist Church in Sleepy Eye (since December 1985). Purchasing a house is a substantial investment. You will want to be sure that the physical structure is in proper condition, on the outside as well as inside. Following our 3-4 hour inspection, we will provide you with a personalized PDF report that details our findings, complete with pictures and instructive diagrams. You will be able to review these findings on your computer at your convenience. Call us at 507-240-1521 for more information or to set up an appointment.